We have a partnership with a caterer who will be your gastronomical guide through the Orient. Her expertise will offer your a wide choice of Oriental specialities that will fully satisfy your tastebuds. Everything on our menu is cooked using fresh and tasty ingredients on site. Oriental cuisine is a mosaic of tastes and scents; it has been created from an alliance of traditions and cultures of the region, all overlapping and absorbing parts of each other. To truly understand the delicacy of Oriental cuisine, you must take the time to explore and enjoy all of the flavours. Let us be your guide through the flavours of the sun! 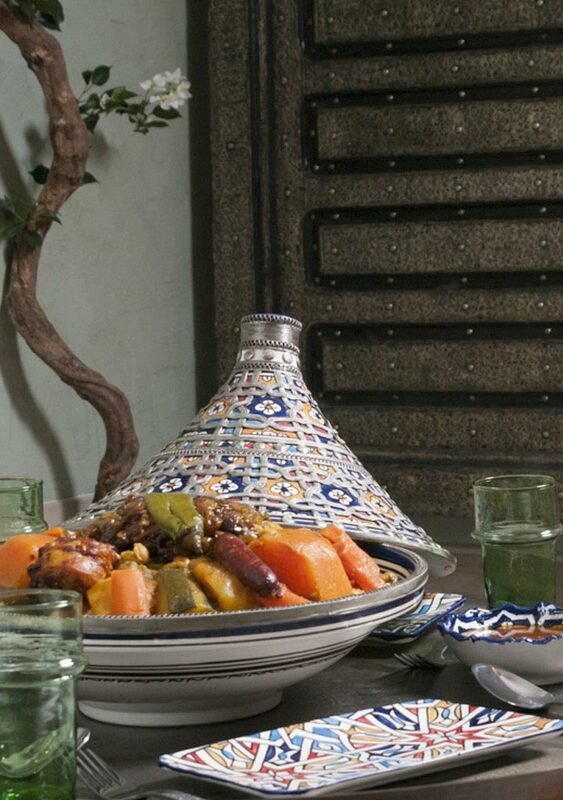 The dinner is available only for guest with Riad Booking or with SPA booking and you have to book before to come. Enjoy a set menu for just €29.90 per person and enjoy a starter, main meal, dessert and a mint tea. At breakfast, let yourself be surprised by Oriental flavours. Our gourmet breakfast consists of a hot drink of your choice as well as Oriental specialities, fresh fruit juices, dried fruit, eggs. Breakfast is served only on booking. 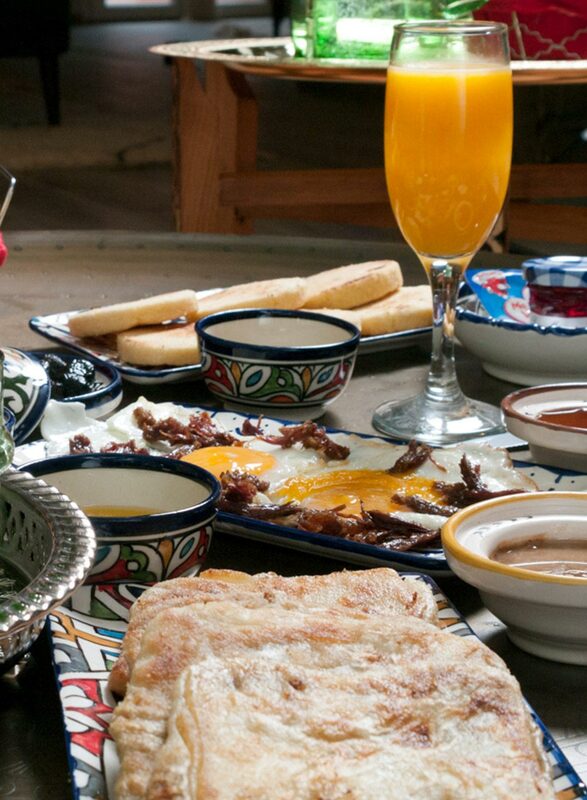 Breakfast is just €15pp for those with a Riad booking and €20pp for those without. Enjoy a fresh mint tea or traditional coffee in our picturesque lobby. In your suite, you will find a bottle of water. Let yourself be enchanted by the delights of the Orient.